Recruit and certify new caregivers, increase referrals and meet compliance requirements. Training for quality care and compliance has never been easier. Simply assign courses, track progress, print reports and certificates. Over 80% of caregivers today want more formal training opportunities. Use our training programs to lure the brightest candidates your way and grow your business. Employee turnover costs money and keeps you from achieving the business growth you want. Offer Caregiver Certification and training programs helps you retain staff and stay ahead of your competition. Your clients are unique and have conditions that require specific types and levels of care. Set yourself apart from your competition by providing specially trained staff for each condition your clients’ face. We have the content you need for your state’s compliance and the tools to track progress and completions, all in one system. 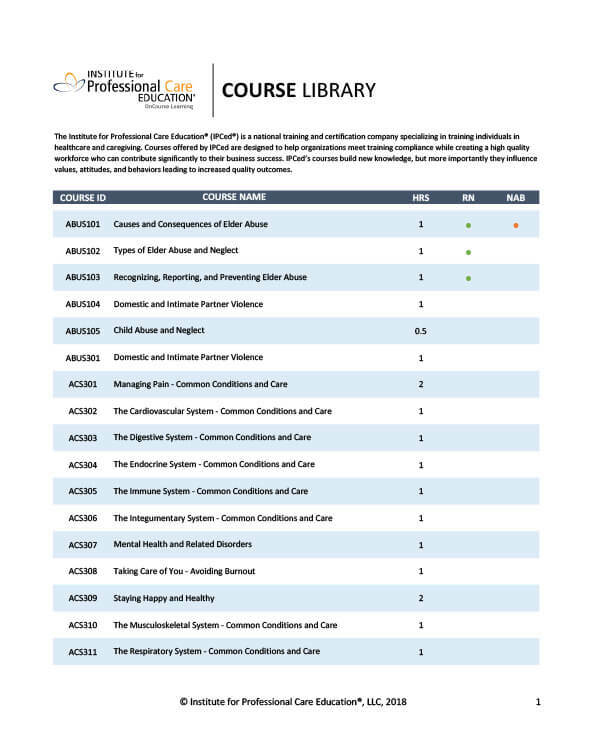 Maintain your state and federal compliance as well as meet accreditation and CMS requirements with our robust library of courses. We like the fact that our caregivers can easily navigate through the training site and the online convenience is really helpful. The people are easy to work with, friendly, and know the product. This makes it easy to convince our team to take the training. This is an affordable, comprehensive training tool that assists us in saving money for initial staff educational requirements and ongoing targeted training needs. We have appreciated it very much! Everyone is required to do the franchise caregiver orientation course within 24 hours of being hired. Having it online makes it really convenient for our staff.